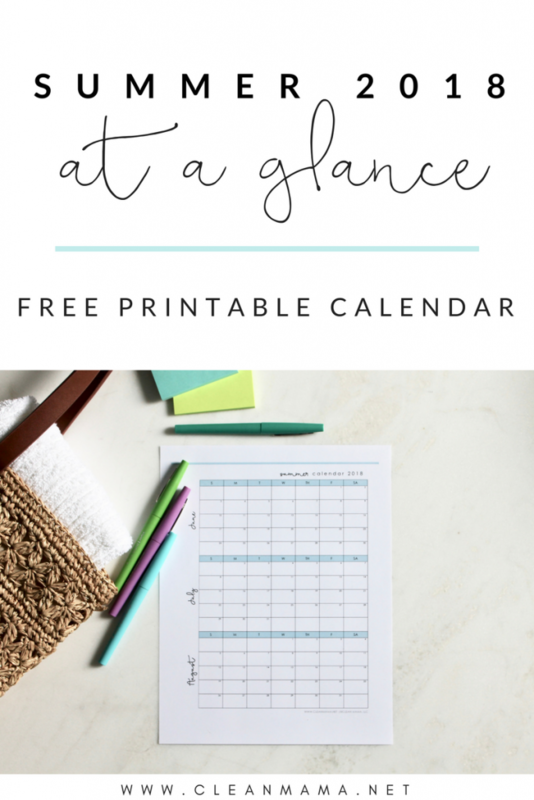 The last three years I’ve shared a free summer calendar and it’s been so popular that I had to share another one for you this summer! A little proactive planning is a great way to intentionally start off the summer. I know it’s only April but we’ve been working on getting the summer schedule figured out at our house and since I know that I’m not only one trying to figure out the kids’ schedules, I thought I’d share a simple way to see everyone’s classes and activities at a glance. 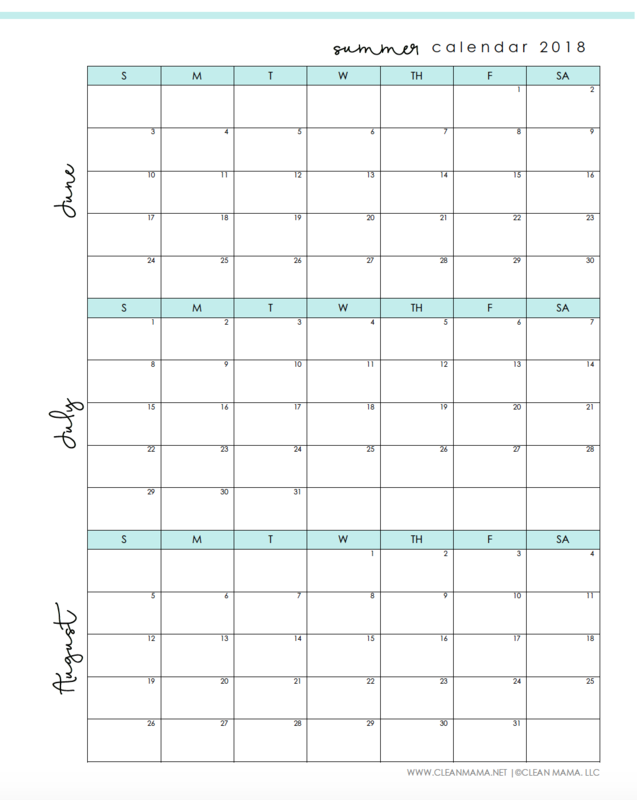 I print out two – one to determine what’s enough and what’s too much – like a pre-planning calendar. Once I have that under control, I use the second one for keeping track for schedules all summer long. I find that laying it out at a glance is the best way to see what’s going to work and what won’t work for the summer. I left a little room on the top, bottom, and margin of the sheet if you’d like to make a little key and color code the activities/kids. I hope this is a helpful and useful tool as you lay out the summer and make the most of the next three glorious summer months! 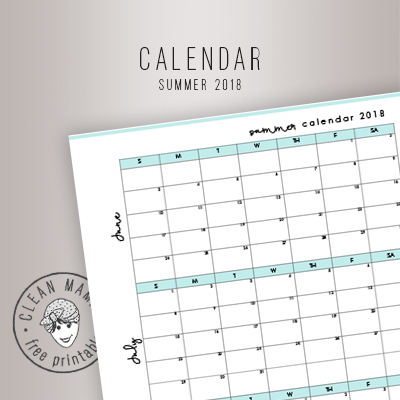 Grab the summer 2018 calendar here – happy summer! I wanted to say thank you for this calendar. It really helped last year and I love that you are sharing another one for this year. So thank you for all the printables you share with us and especially for this one. Although my kids are grown, we have friends and relatives visiting us all summer since we near the beach and Atlantic City. This will help keep track of who is visiting when. Thank You. 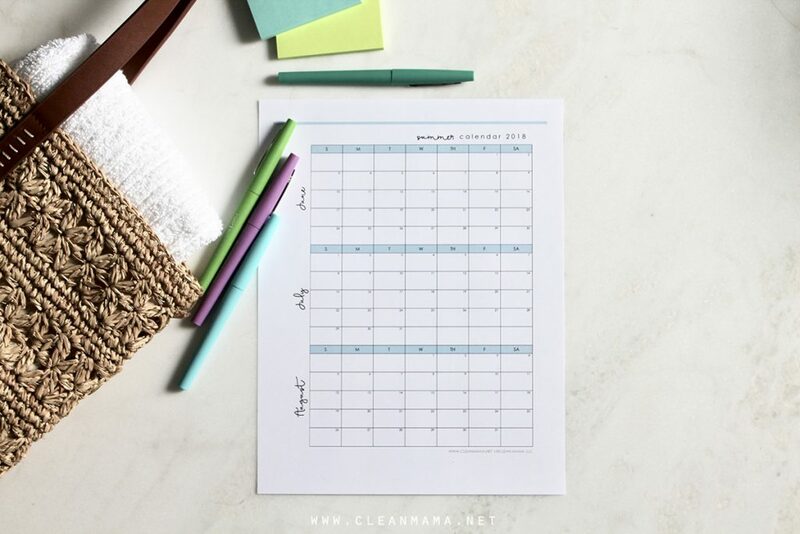 Will you be making a calendar like this for the fall? This was so helpful for us last year! I love the design. Hoping you’re making one for 2019! Can’t wait for the 2019 summer calendar to come out! I came online today, just to check if it was posted yet. It was SO helpful last year when trying to plan summer activities for my 3 kids. Omg love this! Any idea when the 2019 one will post? My favorite! !